The Florida Project's ending is perfect. A little 400 Blows, some Last Laugh, and voilà. Crafting the perfect end to a film is an unenviable task. They’re rare. Many of the best endings provide a special kind of satisfaction, where all the events of the film come together in an inevitable moment of harmonic resolution. Occasionally, though, a filmmaker chooses to go in the opposite direction, to take a leap in a film’s final moments, to jar the audience out of any prescribed sense of expectation, and to challenge them into feeling something more complex. 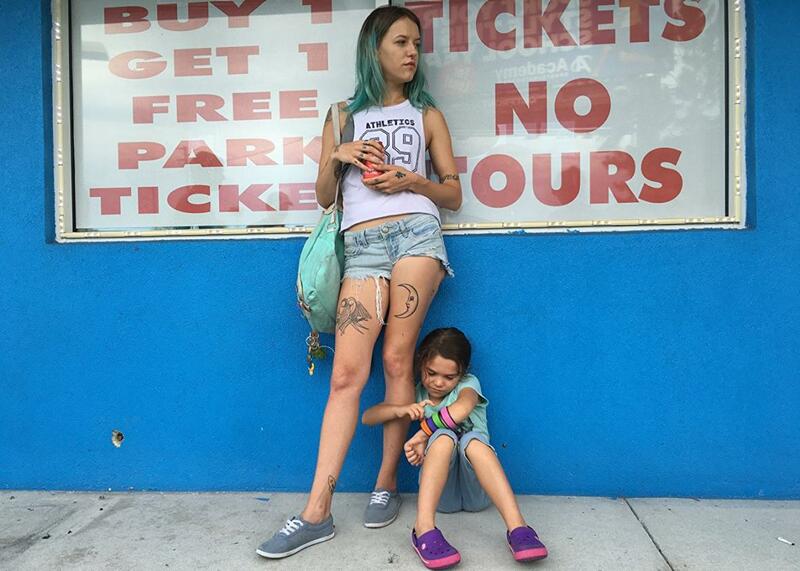 The Florida Project does just that, and the result is as perfect an ending as has graced the screen in years. Director Sean Baker, whose last film was Tangerine, a remarkable movie about transgender prostitutes in West Hollywood, brings his humanist eye to another community of social outcasts: a group of children spending their summer making mischief at the low-cost motels on the strip leading up to Disney World in Kissimmee, Florida. As the young girl Moonee (Brooklynn Price) plays with her friends Jancey (Valeria Cotto) and Scooty (Christopher Rivera), a rougher reality of poverty exists behind them, the threatening backdrop to their idyllic youth, and as the film enters its final act, Moonee’s world finally comes crashing down. Her mother is being investigated for prostitution and child endangerment, and child welfare authorities arrive to take Moonee away. Instead she runs, all the way to Jancey’s front door, breaking down in tears, for the first time betraying her age. She’s a child, barely—almost a baby, and certainly as vulnerable as one in that moment, telling her “best friend” this may be the last time they ever see each other. And then something happens. The film’s lush 35 mm photography is abruptly replaced by the sharp digital look of an iPhone camera, and for the first time in the film a musical score kicks in. Jancey grabs Moonee’s hand, and together they run. They run, and run, through spaces we’ve seen before in the film, but now see in a new way. All the way to Disney World. In the film’s final shot, the two girls run toward Cinderella Castle as an oblivious tourist family poses for a photograph. One last gasp for freedom and everything life supposedly promises them—and then the movie is over. As stunts go, the one at the end of The Florida Project may be cute, but it’s hardly a punt. Though inspired primarily by the little rascals of Our Gang, the film takes in equal measure from Truffaut’s The 400 Blows, which ends with a similarly melancholic-but-triumphant dash to freedom, and it also recalls Steven Spielberg’s A.I., whose frequently misunderstood ending grants its eternally young protagonist his wish to be with his human mother. Though often derided for succumbing to easy sentimentality, the ending of A.I. deploys its sentiment knowingly. And as in The Florida Project, there’s something plainly, even knowingly manufactured about it. Its wish fulfillment is real, but momentary at best. The crushing weight of reality is heartbreakingly inescapable in the end. We’re changing mediums at the moment that the little girl grabs her hand, and so this whole final scene could really be seen as just an extension of Moonee’s imagination. Hopefully now the audience is thinking about how those children have to make the most of it every day, and how they have to make the most of their tough situation by using their wonderment and imagination. The ending that Baker’s gambit most clearly recalls, though, is found all the way back in F.W. Murnau’s 1924 silent film, The Last Laugh. Emil Jannings stars in that film as a beleaguered, elderly hotel doorman who loses his job and the respect of his family, finding himself destitute and forsaken by society. But in one of film history’s most indelible moments, the author steps in for the film’s single intertitle card and for the sake of his protagonist. “Here our story should really end, for in actual life the forlorn old man would have little to look forward to but death. The author took pity on him, however, and provided quite an improbable epilogue,” the card reads. In the sequence that follows, the doorman inherits a rich man’s fortune and returns to the hotel as a patron to dine with the one man who showed him kindness in his difficult time. In a blistering series of shots, Baker captures the enchanting energy of The Last Laugh. He upends all expectation—stylistically, tonally, and thematically. In an instant, the film changes and blossoms into something that feels entirely different and altogether more special. And then it ends as abruptly as it began, leaving only the closing credits and an exhilarated, perhaps confused audience. For one breathless minute the lives of these children take on all the magic promised by the Magic Kingdom. It’s the granting of a wish, made possible by hope, and love, and friendship, and the sympathies of a filmmaker, though the knowledge of the harsher reality waiting for them never dissipates. Happiness and heartbreak exist at once. It’s the entire film in microcosm, and then it’s over.